ASTRA, Ont. 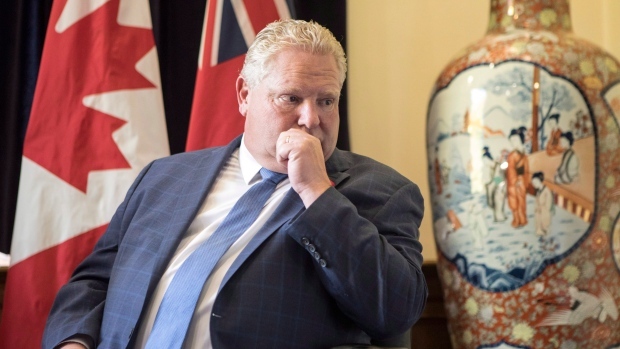 -- A senior Ontario cabinet minister was forced to step down last week after facing an allegation of sexual misconduct, Premier Doug Ford said Wednesday, breaking his government's days-long silence on the controversial matter. 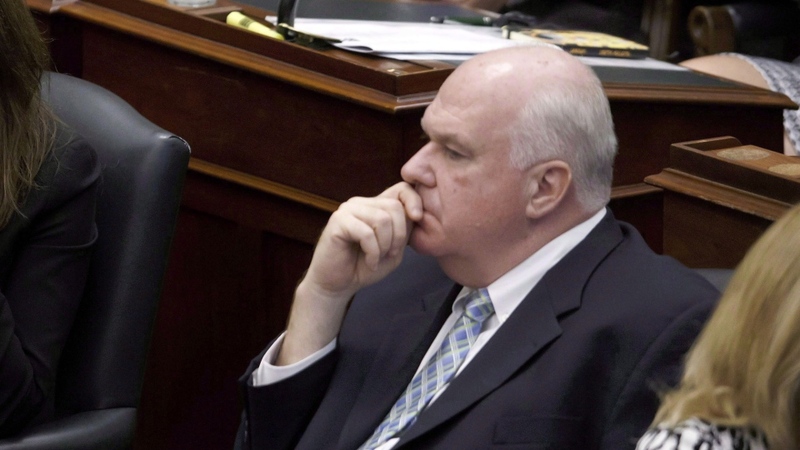 Ford's office said last Friday that Jim Wilson was immediately resigning from his role as economic development minister and the Progressive Conservative caucus to seek treatment for addiction issues. "What is irresponsible is if I was to give the media the story, against the wishes of the people who had the courage to come forward during these stressful times," Ford said. "I think it would be irresponsible for the media, irresponsible for the party, and as the leader I will not do that." "We were swift and asked him to resign," he said. 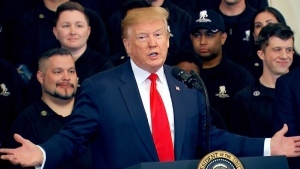 "We launched the investigation immediately with a very reputable investigation team, former police officers that deal with this on a frequent basis." "Mr. Ford absolutely could have been honest, and told Ontarians that there were serious allegations against his most senior minister, and could have done that without revealing the identity of anyone impacted," she said. "He didn't -- he chose to mislead the public to protect Mr. Wilson." Interim Liberal leader John Fraser said the government should have addressed the issue of the allegation five days ago when it first announced Wilson's resignation. Dragging out the situation isn't good for anyone, including the complainant, he said. "It's five days later and we're still talking about this," he said. "That's not good for the person who came forward ... if privacy was important they should have handled it far differently than they have." Wilson, who has been a legislator for 28 years, stepped down Friday, hours after appearing with Ford at a border crossing near Sarnia, Ont., where they unveiled a sign advertising Ontario as "Open for Business."